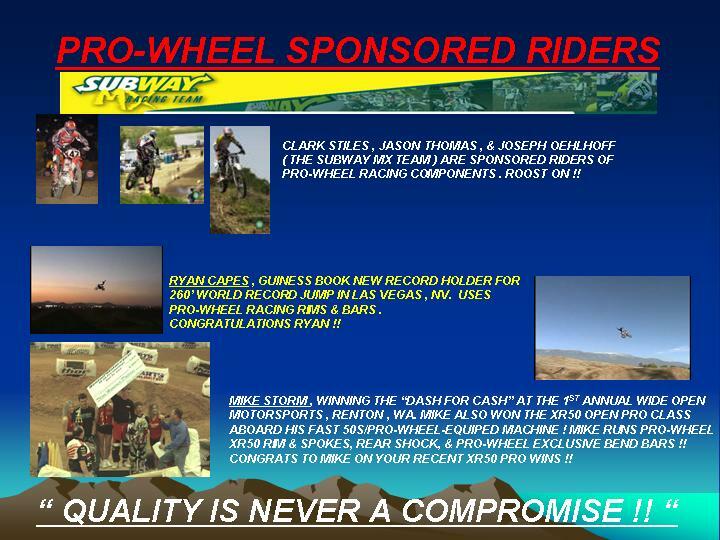 Home PRO-WHEEL handlebars & mounts | Pro-Wheel aluminum Rims, stands & ramps | Pro-Wheel sponsored riders | HOT !! XR 50 Racing Components ! !